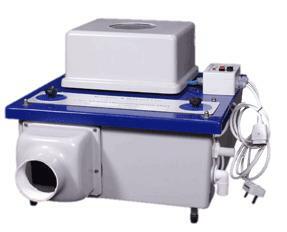 The type D12a humidifier is available in either single or twin outlet form to cover most applications. Where access to drainage is limited, the optional overflow prevention system can be fitted which shuts off the water supply in the event of the overflow tray becoming full. Once the tray has been emptied, the system will continue its normal operation. To demonstrate the confidence we have in our humidification units, from 1st October 2014, we are further extending the warranty on our humidifiers from 36 to 48 months. Full parts and labour warranty applies to W&W installed units, return for repair warranty applies to supply only sales T&C’s apply. Amoungst other small modifications, the current D12a machine features a revised, noise reducing, motor cover. This new cover reducing the overall operational sound of the unit. Introduced upon a trial basis is the D12a “LIBERUM” model. This machine is designed for use where a humidifier is desired, however, a plumbed water supply and drainage is not available. 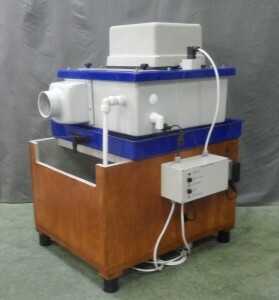 In the past such installations frequently required a header tank to be positioned above a humidifier, which was often then difficult to fill, together with our overflow prevention system. The D12a LIBERUM is a single unit housing water supply, “drain” and humidifier within one, easily refillable, self contained unit. Only a power supply is required.